Classik Foods, Inc. is in the business of importing and wholesale distribution of fine foods located in Atlanta, Georgia. We at Classik foods is a source of providing Indian, British, and Middle Eastern products from around the world to ethnic retailers and super markets for distribution. Our distribution network covers the entire southeast United States including Georgia, Florida, Alabama, Tennessee, North and South Carolina along with the Caribbean Islands. 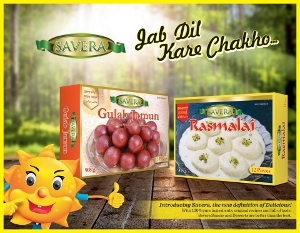 On a higher level, we are the sole national distributors of the new Savera brand of products manufactured by Punjab Milk Foods who manufactures the famous Nanak brand of commodities. With our strategic business associates, we distribute Savera in the entire United States.